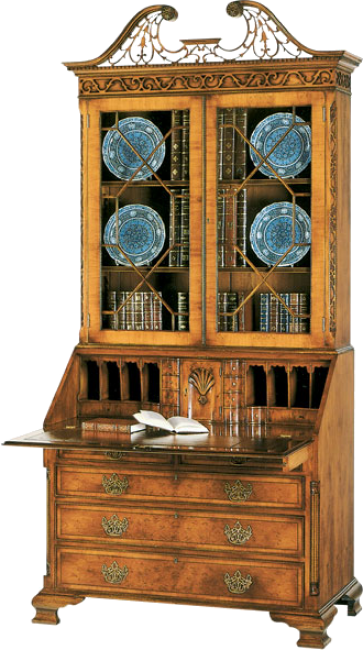 Swan neck secretary with hand carved pierced fretwork pediment, and canted corners. Astragal glazed doors with adjustable shelves. The lower section features a fitted interior and leather writing surface, two short drawers and three long drawers with antique brass hardware. Lower section also features turned columns on the canted corners. Ogee bracket feet. Available with lights and glass shelf inserts. Pictured in Yewwood.